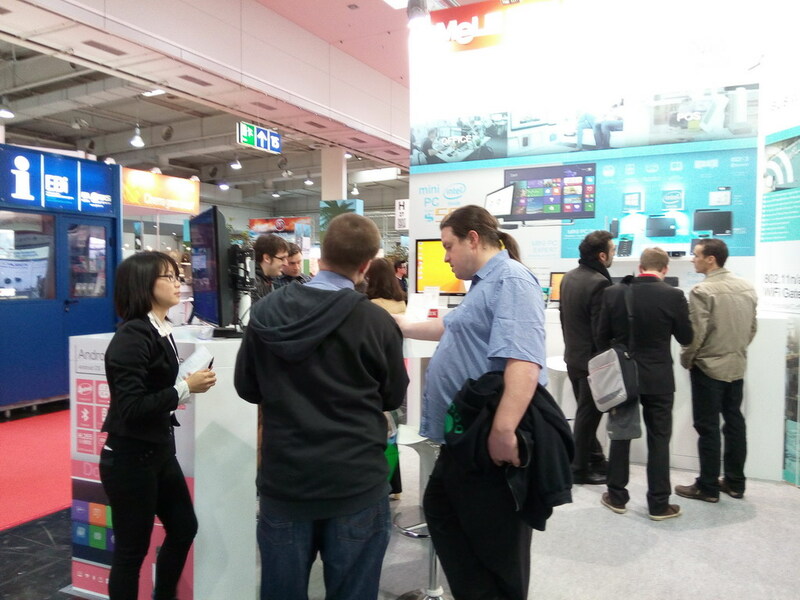 MeLE CeBIT 2015: Launching the world first fan-less Mini PC running pre-loaded genuine licensed Microsoft Windows 8.1 operating system and Intel Quad core processor with SSD/HDD and Cloud based Ultra HD 4K Digital Signage. From March 16th – 20th, 2015, CeBIT as one of the largest consumer electronic trade show in the world, grand open in Hannover, Germany. 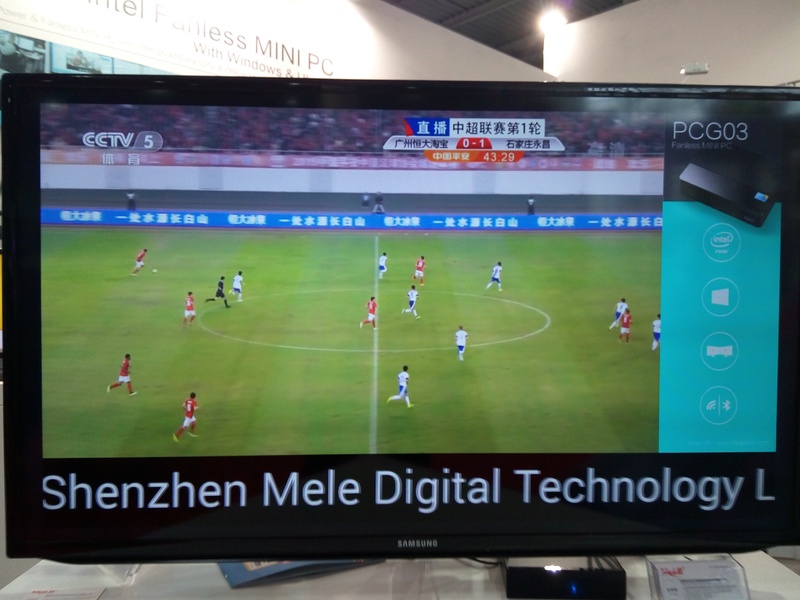 Shenzhen MeLE Digital Technology Ltd., brings their latest product development to showcase their audiences came from over 80 countries all over the world. 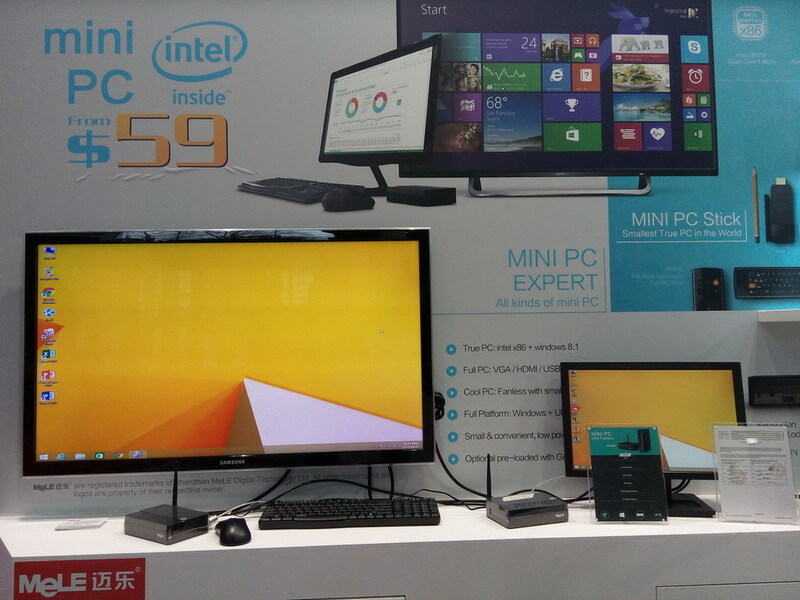 In this fair,MeLEis launching the world first fan-less Mini PC running pre-loaded genuine licensed Microsoft Windows 8.1 operating system and Intel Quad core processor inside for home and commercial usage. MeLE Mini PC could support simultaneous dual monitor display in both HDMI and VGA output and has features of ultra-low power consumption< 12 watts by using passive cooling technology. And the TCO (Total Cost of Ownership) is very affordable for not only the mass consumer market but also the public sectors like Government and Education sectors. It also has small-size foot print which can save a lot of expensive retail space and be widely used in public places such as kiosk terminal, banks,and hotels, etc. MeLE develops whole series of Mini PC to meet wide ranges of applications, including all form-factors like PC on stick, SFF (Small Form Factor) with and without built-in SSD or HDD support. MeLE is also developing commercial products including 4K Digital Signage devices. 4K Digital Signage devices can playback the 4K Ultra High Definition contents and also support external set-top box video source with HDMI input. In additional to standalone signage device, MeLE is dedicated to developnetworked based devices which support contents delivery from your LAN or Cloud based sourcesas part of the connected infrastructure thru AWS (Amazon Web Services) which can deliverunlimited possible live advertisement contents from multiple contents sources across the globe. Shenzhen MeLE Digital Technology is a global leader of internet High-Definition and system solution provider. MeLE advanced products are sold in over 80 countries and regions in the world.